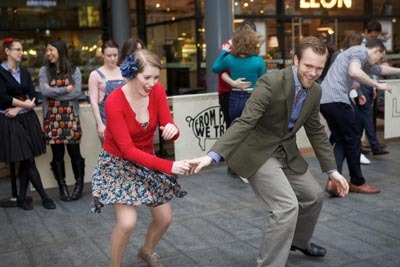 Down for the Count: The Shoreditch Swing Out! We've been on the hunt for quite a while now for the right venue for a regular swing event with the band, ever since the Crouch End Music Palace was rejigged and turned into an arthouse cinema (they weren't really on board with our plan to produce an old school Down for the Count silent comedy flick for some reason – maybe it was the horn section custard pie fight). 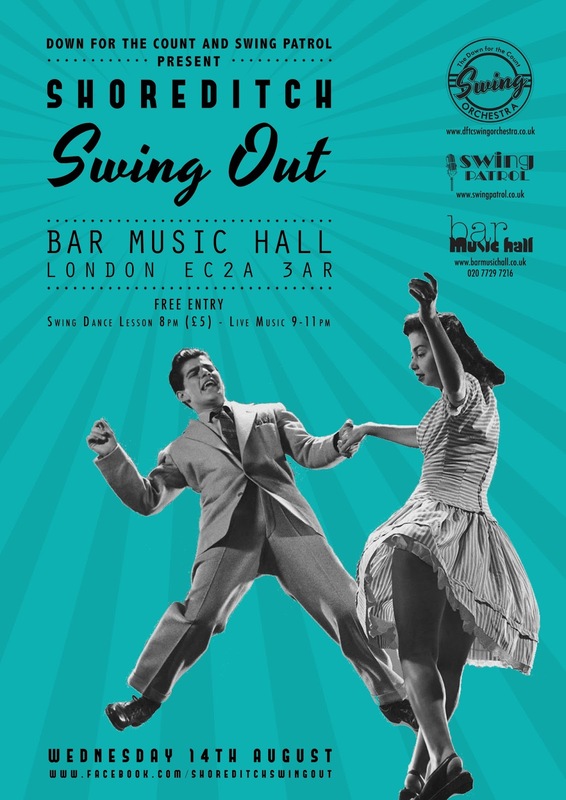 Luckily, it seems we've struck gold over in East London, and so this Wednesday we invite you to come on down to Bar Music Hall for our very first Shoreditch Swing Out! 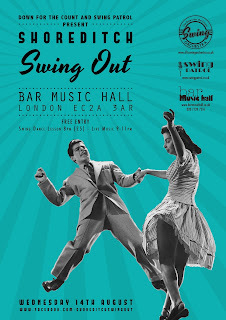 In a way, we're all pushing the boat out a bit with this one - Bar Music Hall is a prestigious venue, having hosted a number of class acts over the years, but embracing the swing thing is a relatively new direction for them. But with one of London's classiest young swing orchestras and the talented minds behind Swing Patrol London knocking on their door, what could possibly go wrong? And what a night we have planned! 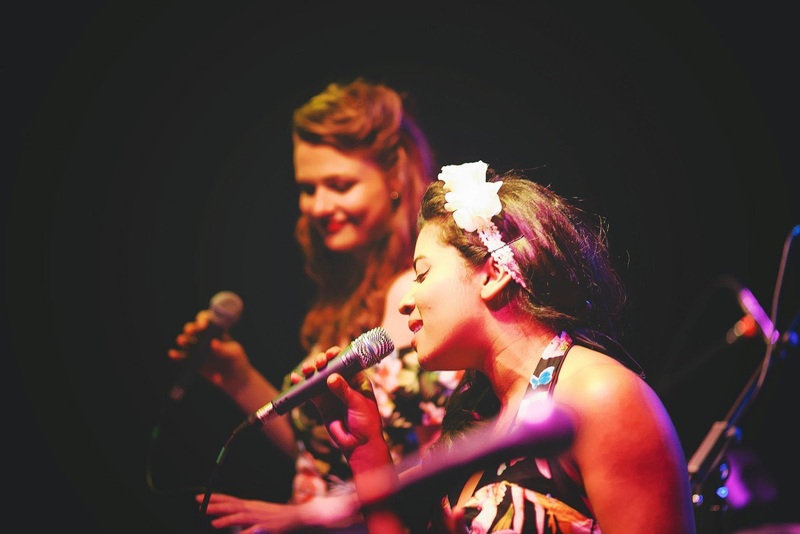 The event itself is completely free - just wander along and stop in if you fancy an evening of fantastic swing music, with petticoats, victory rolls and lindy hops galore. If you fancy getting into the swing of things (hee hee) even more, a paltry five pounds will net you a cracking dance lesson with those Aussie wonders from Swing Patrol. I mean really – what more could you want of an evening? Great music, great atmosphere, great company – and hey, even if you can’t make this month, we’ll be back again in September! So there’s really no excuse. Dig out those dancing shoes, put on your best vintage clothes, and two-step down to Shoreditch to boogie on down like it’s 1929. Want to know more about our upcoming events? Drop us a line!